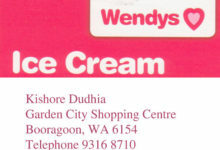 PLEASE NOTE THAT THIS FACILITY IS IN DUNCRAIG, WESTERN AUSTRALIA. 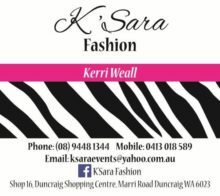 Sorrento Bowling Club offers a great location and venue for functions with a function room that can accommodate up to 120 people seated for a meal and more if seating is limited. Sorrento Bowling Club is ideal for your birthday party, anniversary, or any celebration. Sorrento is also a wonderful location for seminars, team-building or work functions, or just getting together with friends for a special occasion. Unfortunately, we do not cater for 18th or 21st birthdays. Sorrento offers a terrific location with plenty of parking; a great entertainment hall with a spacious dance floor, kitchen facilities, a fully licensed bar, and great audio-visual facilities; and convenient outdoor areas and BBQ facility. Our in-house caterers will also provide delicious meals ranging from dining through to finger food, and all at very reasonable rates. Why not combine your celebration with a fun game of lawn bowls. Equipment and an introduction to playing the game are available. See below for other options or take our virtual tour to see what’s on offer. 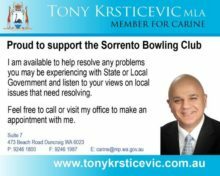 To comply with Government Regulations the person or persons making a booking must become a Social Member of the Sorrento Bowling Club. 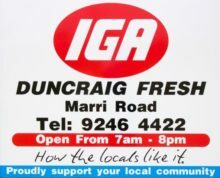 Please book online or if you have questions give us a ring on (08) 9447 0696. The Greens are available for private hire at very reasonable rates that make your next function a fun, social and affordable one. Our exceptionally maintained greens ensure that your group will have a memorable time whether it is a team-building exercise, a social event or just getting together with friends. Our outdoor BBQ area is also available for hire or you may choose to have your event catered. Lawn bowls equipment is available and assistance with bowling can be provided. Our in-house caterers have a great reputation for their catering expertise and the quality of their food. Please contact the Club to discuss your catering requirements. 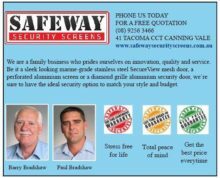 The premises may be hired by any non-member for the sum of $330.00 inc GST (non-refundable) plus obtaining a Social Membership for $25.00. There will be an initial bond of $500** to cover the cost of any loss or damage to equipment belonging to the Club, and any additional charges as necessary. To confirm your booking the bond must be paid in full and will be forfeited if the function is cancelled within 14 days of the booked event. A Club member must be in attendance at all times, or a designated Duty Officer, as appointed by the Club. No liquor or soft drinks can be brought onto the premises as this is a licensed Club. All drinks must be purchased through the Club at designated bar prices. It is the responsibility of the hirer to ensure that no liquor or soft drink is brought onto the premises and surrounding areas by their guests. A meal or supper must be supplied to conform with Liquor Licensing Act Requirements. The kitchen area, cutlery and crockery may be utilised. Any loss or breakage to be deducted from the bond. The cleaning of the kitchen is the responsibility of the hirer. If tablecloths and tea towels are used by the hirer the club will charge for laundering ($15.00 normal laundering charge), which will also be deducted from the bond. Hire of the premises is to be confined to the designated area of the Club. Club members will still have use of part of the premises, however, this will be restricted and will not encroach on the area being hired. The Club has zero tolerance to anti-social behavior. If any of the above conditions are not adhered to, the function may be closed down. **Charges may be changed without notice. To whom it may concern. We are writing to you to express our sincere appreciation for your hospitality regarding the engagement party we hosted at your venue for the Stephen Cameron families on Saturday night. A special thank you to Ian the bar manager and his staff for the professional manner he managed the function, juggling several separate functions simultaneously. From what our guests mentioned we think it was a great promotional opportunity for future functions at your venue. We give you and your venue a 5 star rating. Thanks Regards Scott and Tracy.